Flip a coin. If heads, prevent all effects of an attack, including damage, your opponent's card will be out. 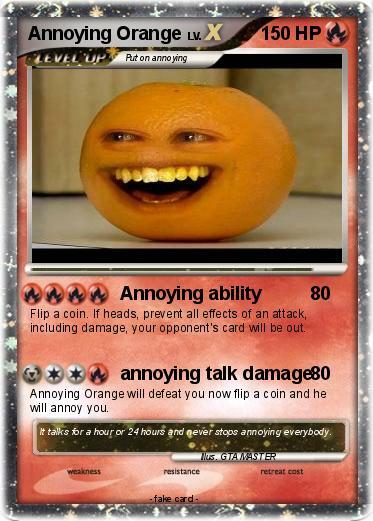 Annoying Orange will defeat you now flip a coin and he will annoy you. Comments : It talks for a hour or 24 hours and never stops annoying everybody.